Air. Land. Water. – A collection of art. 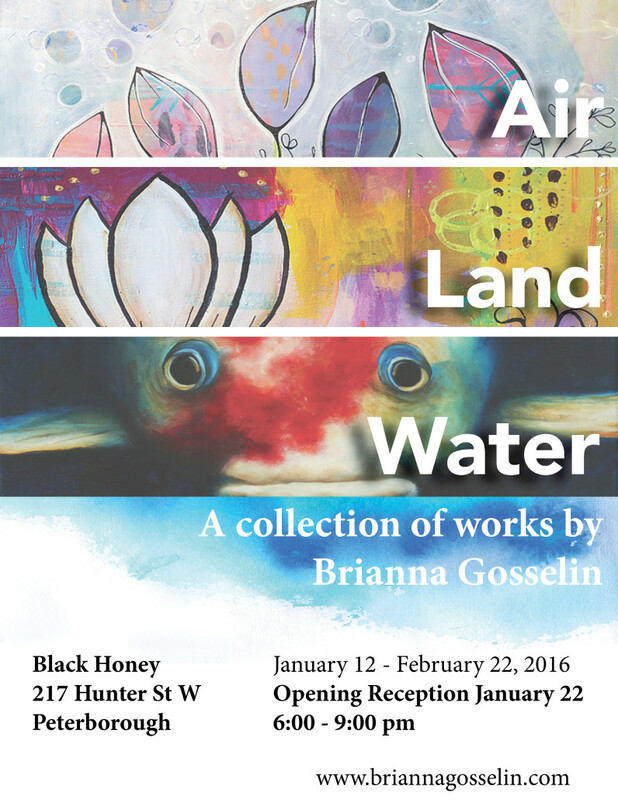 Come explore Brianna Gosselin’s most recent body of work at black honey between January 12 until February 22. Pieces featured will depict the connecting relationship between air, land and water along with the spirtual impression they leave on us. There will be an opening reception on Friday, January 22 from 6:00 – 9:00 pm, featuring delicious treats from black honey. https://briannagosselin.com/wp-content/uploads/2016/01/AirLandWaterpreviewpic.png 333 500 admin http://briannagosselin.com/wp-content/uploads/2018/05/Untitled-1.png admin2016-01-06 13:38:012017-08-18 11:29:01Air. Land. Water. - A collection of art.